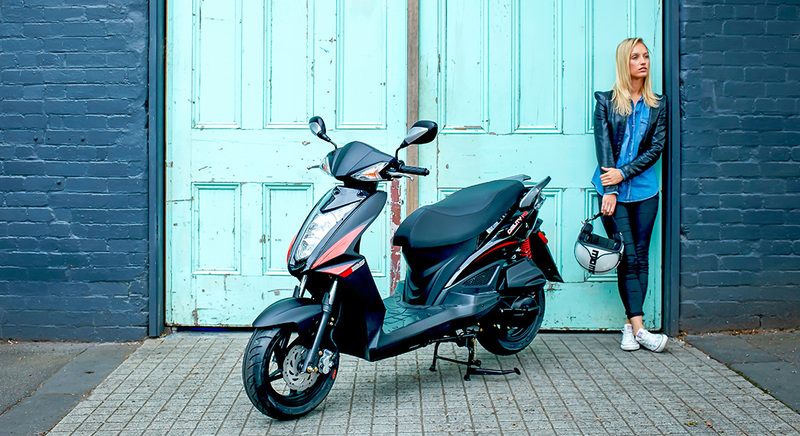 With a responsive four-stroke engine and a load of features, KYMCO Agility RS 125 is a zippy and fun urban scooter. The low emission air-cooled engine delivers reliable power while the twist and go CVT automatic transmission makes riding straight forward. A front disc and rear drum brake will slow you to a sure stop while the lockable under seat storage, rear rack, luggage hook and integrated pillion foot rest will ensure you have plenty of space for storage and a passenger. Practical and fun, KYMCO Agility RS 125 is a package that is safe, reliable, cheap to run and lots of fun.